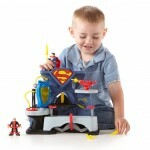 Imaginext DC Super Friends Superman Playset only $14.99! You are here: Home / online shopping / Imaginext DC Super Friends Superman Playset only $14.99! 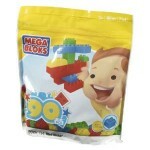 I’m loving all of the toy deals today! Right now you can get this Imaginext DC Super Friends Superman Playset for just $14.99! 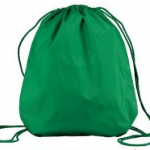 That’s $10 off the retail price of $24.99! The Imaginext Super Friends Superman Playset is modeled after the new fortress of solitude. It features a disk activation that will open the armory and reveal Superman’s suit and cape, he will need this to fight General Zod who is coming to steal the “codex key” which holds an important secret. They are able to battle in the front section where the figures will fly at each other when you clip them in then press down on one of two disks. 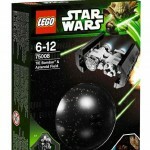 The set also contains a projectile launcher to use against Zod as he approaches. The launcher features a ball joint base and can be positioned in multiple places on the set. Finally the set also contains two swords for superman and zod along with handcuffs and a jail to hold Zod. 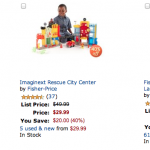 Fisher Price Toys 40% off today only! 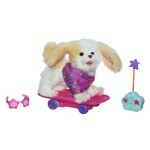 FurReal Friends Trixie The Skateboarding Pup only $19.99!